Live The Life Of Luxury In The Prestigious Spring Hill Condos Nestled Amongst Beautiful Gardens & Conservation Areas! 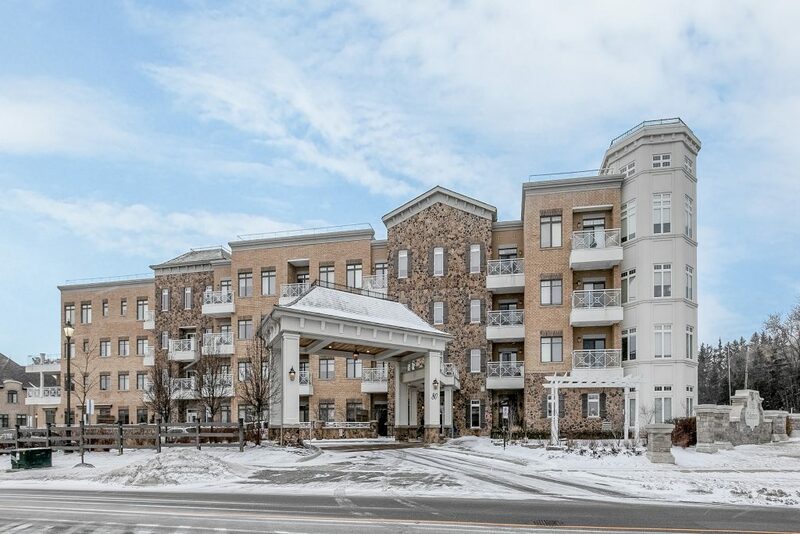 This Spacious Condo Features Hardwood Floors, Smooth 9′ Ceilings, Crown Moulding & Pot Lights. Designer Kitchen Boasts Stainless Steel Appliances, Granite Countertops & Breakfast Bar, Formal Living Area, Dining With Walk-Out To Private Balcony & Master Suite With Stunning Ensuite Includes Marble Counters & Glass Shower. Amenities Include Underground Parking, Indoor Pool, Sauna, Gym & State Of The Art Building Technology. This Gem Is A Must See! Approximate Size: 945 Sq. Ft.